Painstakingly researched for over 30 years, The Beaverkill: The History of a River and its People is the definitive exploration of a legendary river. Winding through the heart of New York's Catskill Mountains, the Beaverkill is America's most beloved and famous trout stream, considered the birthplace of fly fishing in the United States. The book chronicles the river's history, offering portraits of the men and women who affected its life and development as a world-class fishery. 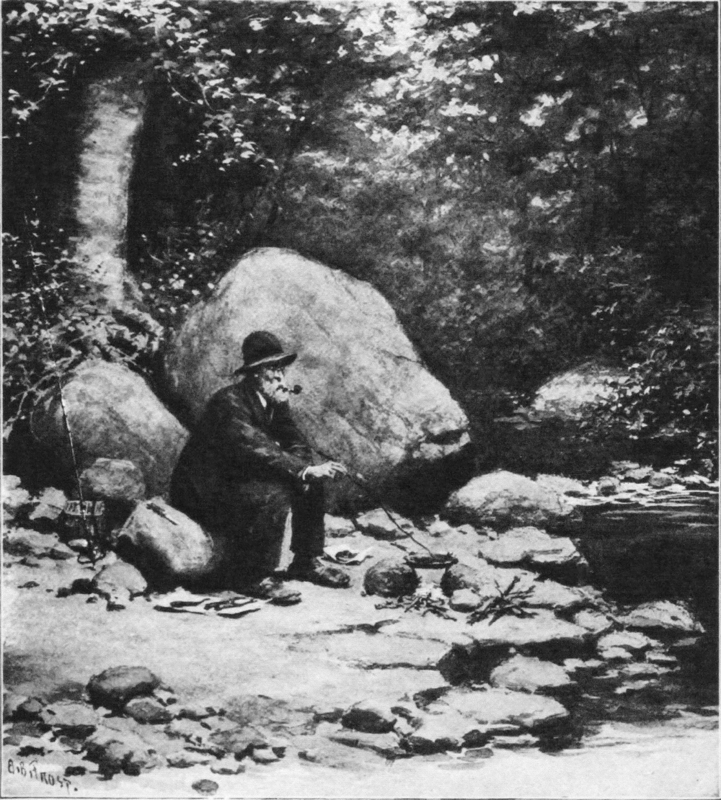 The Beaverkill provides insight into what fishing was like prior to the introduction of hatchery trout, chronicles the human disturbances to the watershed - including stream habitat degradation and the exploitation of native brook trout - and includes a comprehensive study of the introduction of brown trout, the emergence of the dry fly, and the evolving changes in fly-fishing tactics. The newly released Second Edition is a considerable update to the original. Amazon shopper? Buy an un-signed copy here. When I first read The Beaverkill: The History of a River and its People by Ed Van Put 20 years ago, I was blown away. Now, Van Put has released a new edition with more writing and photos, and I'm blown away all over again. I grew up near the Catskills in Kingston, and it was on the area's streams that I became hopelessly addicted to fly-fishing. So I had a local interest in Van Put's book. But the Beaverkill is, in a sense, home water to every American fly-fisher, and its story is the story of the development of American fly-fishing itself. 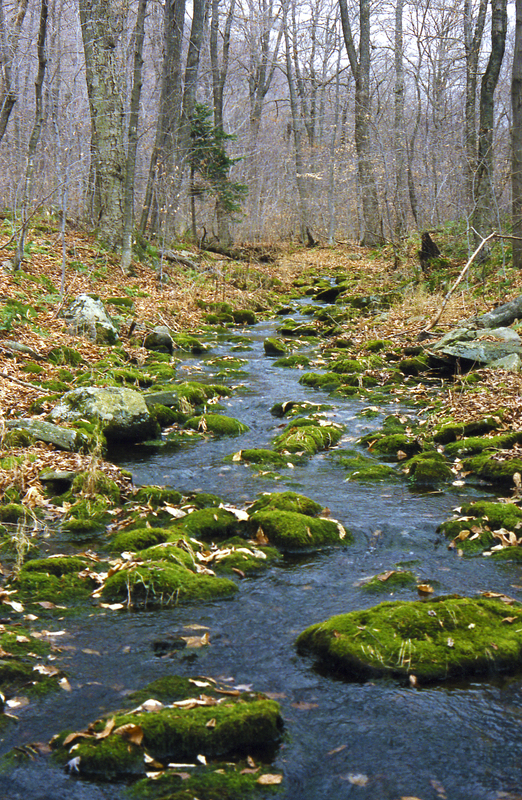 The Beaverkill was the first truly famous American trout stream. Everyone from Theodore Gordon to Lee Wulff fished there, as did their counterparts in the 1800s. The place was a fly-fishing destination in the days of the Civil War. "The Beaverkill is revered by fly-fishermen, in much the same manner as Cooperstown is revered by baseball fans," Van Put writes. "To wade and cast a fly in waters where fly-fishing immortals have before them can be likened to taking the mound at Fenway or roaming center field in Yankee Stadium." Van Put is just the person to tell us the story of the Beaverkill. As a fisheries professional with the DEC, he was a key player in the drive to force New York City to release trout-friendly cold water on the reservoirs it built on the Delaware River, and he negotiated many miles of public fishing rights along the Catskill streams. He's a lifelong fly-fisher, and the original 1996 edition of The Beaverkill showed he is a beautiful writer. The 2016 edition of the book has new material, including the story of an interesting fishing contest involving anglers from the U.S.S.R. and a dream team of American fly-casters, including Van Put. There's also a new chapter with 25 flies associated with the river, mostly Catskill-style dries, some famous and some I had never heard of. I've gotten to know Ed a little bit, even fished with him once, and I like and admire him, so I'm pre­disposed to like his book. But I really think anyone will like it, especially people with an interest in the trout fishing of the Catskills. Speaking of which, 11 years after the first edition of "The Beaverkill," Van Put published an even more ambitious book, "Trout Fishing in the Catskills." It will probably come to be seen as the definitive book on the much-written-about subject, if it hasn't already. These books aren't just Van Put spinning stories from memory. He and his wife, Judy, invested a great deal of time researching hundreds of books, magazines, newspapers and government reports in dozens of libraries and museums from Livingston Manor to Albany. fly-fishers and fly-tiers of the 20th century, and the conservation battles over creel limits, highway construction and runaway development. And it demonstrates that anglers more than a century ago, like the famous naturalist John Burroughs, got the same kind of buzz from trout and trout fishing that we get today. "The fisherman has a harmless, preoccupied look; he is a vagrant, that nothing fears," Van Put quotes Burroughs writing. "All his appearances are gentle and indirect. He times himself to the meandering soliloquizing stream; he addresses himself to it as a lover does to his mistress; he woos it and stays with it til he knows its hidden secrets. Where it deepens, his purpose deepens; where it is shallow, he is indifferent. He knows how to interpret its every glance and dimple; its beauty haunts him for days." If you're like me, "The Beaverkill" will give you a powerful urge to jump in the car and explore the Beaverkill, the Willowemoc, their ­tributaries and the local trout ponds, and find the places Van Put tells us about. The Beaverkill is in hardcover, has 256 pages, three maps and more than 200 photos. It's published by Stackpole Books and the cover price is $39.95. "A substantial revision of this important work, with much new material...whether you own the original or not, I recommend you buy and read this new edition." Few things have provided Sullivan County with as much publicity over the years as the international recognition it has received as a trout fishing destination. The Beaverkill and the Willowemoc are among the most famous trout fishing streams in the world, and there are those who feel the Mongaup Creek is even more productive - if lesser known - than both of them. The Neversink River was once a popular trout fishing stream. And any number of lakes throughout the county have their proponents, as well. In fact, at one point in our history it was heavily advertised that the largest trout ever hooked in America was taken from White Lake. When all is said and done, though, the Beaverkill seems to stand head and shoulders above all the others. It is, as Ed Van Put points put in his must-read book, The Beaverkill: The History of a River and Its People, "the standard by which all other trout streams are judged." And its, reputation as a rich and bountiful stream dates back well before the arrival of the first European settlers in the late 17th century. The Lenape, the Native American tribe that first inhabited this area as far back as 1,300 years ago, subsisted by farming, hunting, and fishing. They grew squash and com and beans. They hunted deer and bear. And they fished for trout and shad. Of course, it is hard to imagine a Native American several hundred years ago wading into the waters of the Beaverkill wielding a fly-fishing rod. In fact, as Van Put adroitly describes, the Lenape had a rather unusual, but effective, method of bringing home their catch of the day. "An interesting method used by the Indians to capture trout involved the bark of the walnut tree," Van Put writes. "The bark was crushed to a pulp to obtain the juices. This extract was then poured in the riffles at the head of a pool, and when it mixed with the water and was ingested, it drugged and stupefied the trout, causing them to come to the surface, where they were easily collected." Prior to 1730 or so, thousands of Lenape spent the warm weather months in this part of the extensive land they knew as Lenapehoking - "land of the Lenape." It was a territory that stretched from the Catskills to the Potomac. But the Lenape left this area sometime thereafter, squeezed out by the simultaneous arrival of the Europeans from the south and east and the encroachment on their territory by the more aggressive Iroquois nations from the north and west. The reputation of the Beaverkill, though, had just begun to grow. Van Put notes that when timber raftsmen began taking pine, hemlock and other softwoods to Philadelphia by way of the Delaware River in the mid-18th century, many of them spread the word about the abundance of the trout streams of the lower Catskills. "These same raftsmen carried the word out to the civilized world that the Beaverkill offered trout fishing of the first order," he writes. "And soon, on their return trips, they were sharing steamboats to Newburgh and stagecoaches to Monticello with fishing tourists, who had learned of the Beaverkill and Willowemoc in the tackle shops of Philadelphia and New York. "Many of the first anglers headed for the Darbee House, which was located on a knoll overlooking the famous junction of the Beaverkill River and the Willowemoc Creek. Samuel and Hannah Darbee constructed the first hotel in Westfield Flats (now Roscoe) between 1805 and 1810. Upon the accidental death of Samuel, this 'publick house,' known to sportsmen for many years, became simply 'Mrs. Darbee's.'" "Meals, for which Mrs. Darbee's was celebrated, cost a shilling or one and eight pence if toddy was ordered. Inside the hotel were seven immense stone fireplaces, a ballroom, and many fine paintings by artists who had boarded there while trouting. 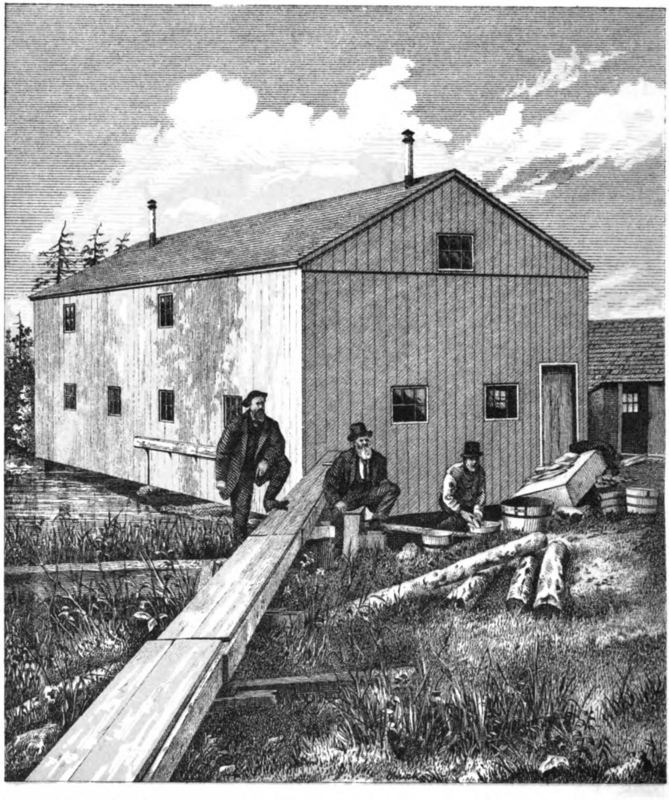 Outside, drawn and cut in outline on the side of the building, were large trout, taken from the Beaverkill." 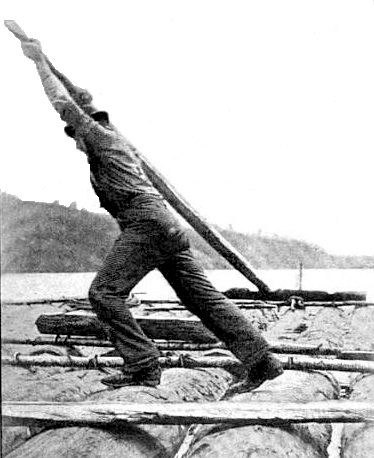 If the timber industry had, howev­er inadvertently, helped establish the popularity of the Beaverkill, it also contributed mightily to its rather rapid demise. The runoff from the hemlock bark-fueled tanneries that thrived in Sullivan County during the middle years of the 19th century eventually destroyed the streams in the area. 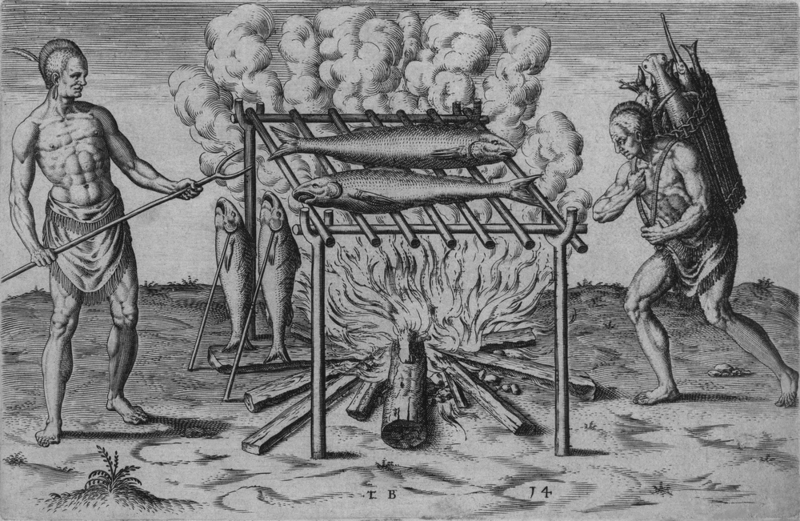 More trout were killed by the poisonous discharges of these industrial giants than had been taken in centuries by the Lenape and spots fishermen combined. When the tanneries began to fade from the scene after the Civil War, the Beaverkill was able to replenish itself. 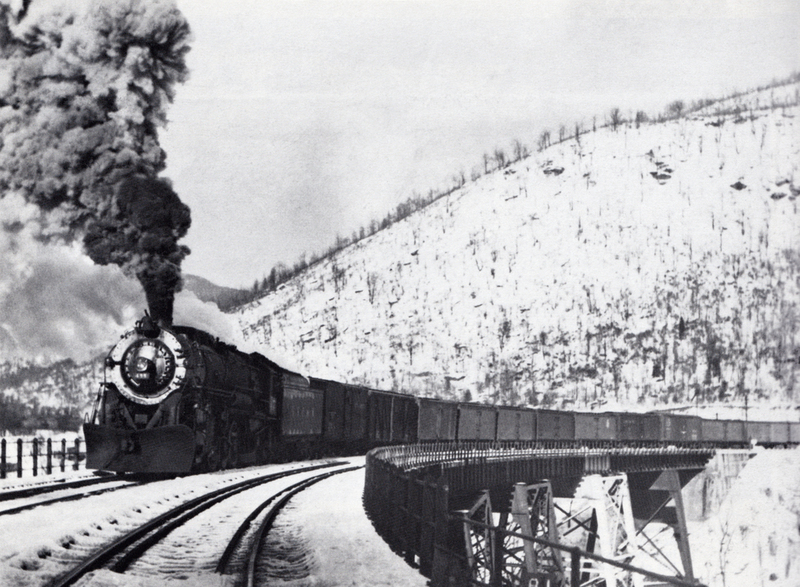 And when the railroads arrived in Sullivan County in the 1870s, there was suddenly a more-or-less direct route to America's Stream that didn't require travel by steamship up the Hudson and then by stagecoach over the turnpikes to the mountains. Fishermen came by the droves, and hotels were constructed to accommodate them. It didn't take the railroad men long to figure out that keeping this famous trout stream stocked was good for business. Perhaps John Merwin summed it up best in his introduction to Van Put's book. "There are, as Van Put points out, other American trout streams that might be prettier; other rivers that may offer more and larger trout. But there are none with stronger and more diverse traditions. As a touchstone of American angling, the Beaverkill is in a class by itself." In the heart of New York's Catskills runs a waterway revered for its fishing. Indeed, 'troutfishing enthusiasts look upon the Beaverkill as "America's stream,"' says Van Put, a fisheries professional with the New York State Department of Environmental Conservation. In this clear and concise, though not artistic, history of that celebrated river, he details the changing experiences of those living and fishing along the banks of the Beaverkill over the past 350 years. With emphasis on the personalities of the world's fly-tying legends, including Theodore Gordon, Rube Cross and Harry Darbee, as well as with a discussion of the merits of using dry versus wet flies, it would seem that the book might appeal only to angling fanatics. Its engaging presentation of the Beaverkill's environmental degradation and revitalization, however, should broaden its appeal dramatically. Van Put describes how the native brook trout were largely fished out last century, with those not caught being killed by the many polluting industries developing streamside. Happily, the advent of hatcheries, the introduction of brown trout and a recognition of basic principles of conservation biology have helped the stream recover. Seventy archival photographs handsomely complement the informative text. The Beaverkill River winds through New York's Catskill Mountains and is among the country's most famous trout streams. Van Put has written an engrossing natural and social history of the river, the region, and, incidentally, fly-fishing in America. The Beaverkill first attracted attention in the early 1800s when people discovered its abundance of brook trout. Soon the Beaverkill was a mecca for trout-fishing enthusiasts, and resorts and inns flourished. By 1850, however, the river was in grave danger. People were taking out huge quantities of fish, while the region's growing tannery industry was dumping pollutants into the river. Concerned individuals fought back, resulting in some of America's earliest conservation efforts in the areas of fish management and restocking. Meanwhile, fly-fishing was changing, too, with the advent of the dry fly and new fishing tactics. Throughout, Van Put is a passionate advocate for the river. Ed Van Put, an avid fly fisherman for more than fifty years, worked as a fisheries professional with New York State for over 45 years, and has authored several essential books on fly fishing and its history & development in America. In addition to the definitive The Beaverkill, he also authored Trout Fishing in the Catskills, an expansive exploration of the development of the Catskills as America's premiere fishing destination. His articles have appeared in The Conservationist, Trout, Fly Fisherman, Fly Rod & Reel, and elsewhere.